Air Optix for Astigmatism are monthly contact lenses with high oxygen permeability for greater health and comfort. The lenses have a light blue tint for easy handling and are sold in a package with Laim-Care solution. 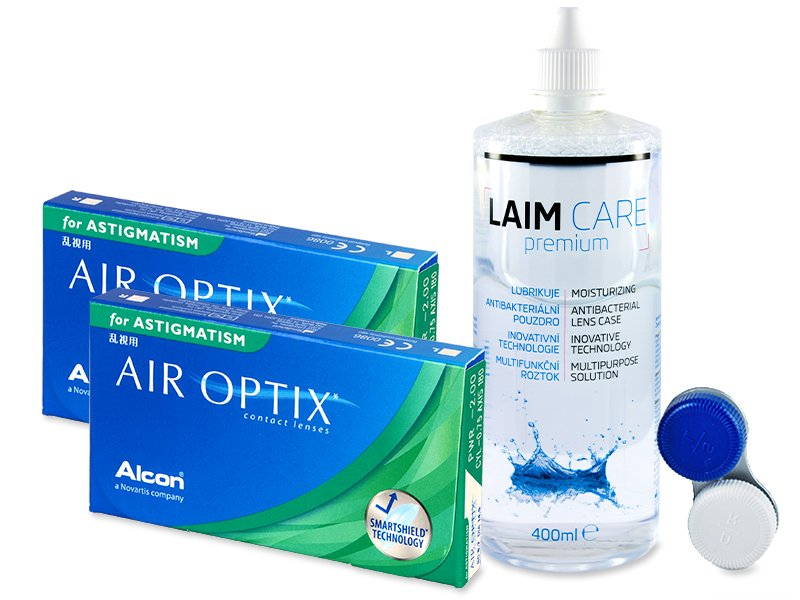 Air Optix for Astigmatism are silicone-hydrogel contact lenses with a monthly replacement schedule produced by Alcon. The silicone-hydrogel material, Lotraflicon B, guarantees high oxygen permeability for exceptional all-day comfort. 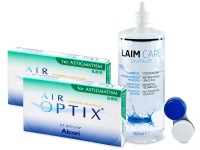 Each box of Air Optix for Astigmatism contains three lenses.